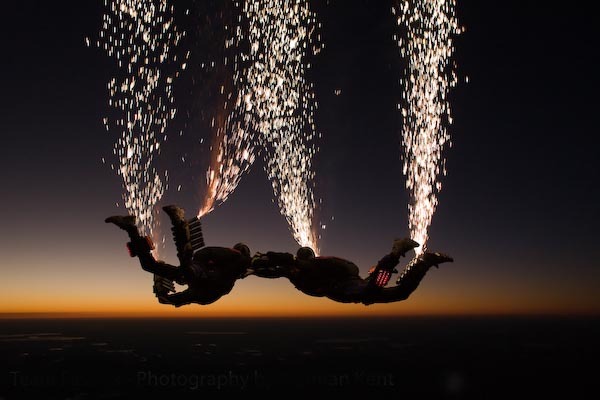 On Saturday October 4th, 2014, Team Fastrax™ will be performing their amazing night pyrotechnic jump, as part of the halftime show for the UC Bearcats football game. The Bearcats are a Division I NCAA football team in the American Athletic Conference. The University of Cincinnati game vs. the Memphis Tigers is sure to be an unforgettable night. The Bearcats will open the American Athletic Conference play on Saturday October 4th, at Paul Brown Stadium, home of the Cincinnati Bengals, in downtown Cincinnati. The UC football games have been moved Paul Brown Stadium for the 2014 year while their own Nippert Stadium is under renovation and expansion. The game starts at 7 p.m., and during halftime, Team Fastrax™ will be performing their famous pyrotechnic skydive. The night pyro is their most requested show and often causes UFO sightings in the surrounding areas. The show will be shown on the scoreboard with live air-to-ground video, so spectators can experience the show on a whole new level. The show consists of four TSA fireworks-licensed Team Fastrax demonstrators. 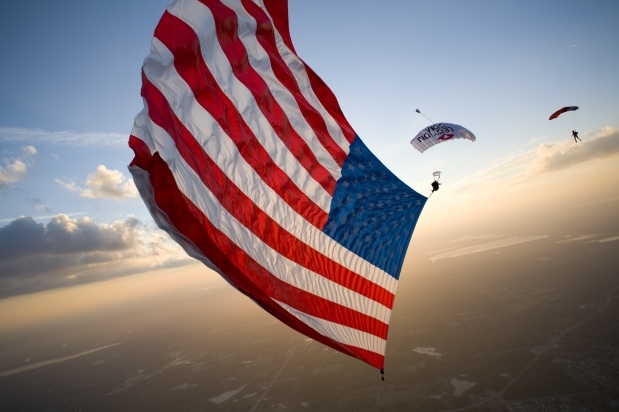 They typically exit the aircraft at 5,000 to 4,500 feet above the ground. Pyro is ignited under canopy all the way to 500 feet then the demonstrators land in the target area. For the full story, click here.